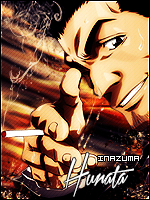 I, Hunata/Inazuma, in no way claim that this is an original guide of my own work. I have edited move names and Rank names in an effort to provide Shinigami with a well made guide. The original guide was made by Lazria_nakayami/Medusa (Forum name and WoB account name respectively) for Hollows. She has given me the okay to edit her original post. If your a Shinigami and use this guide, please, send her a thank you. Hello fledglings, here I am going to outline the best practices for training. Before I go into the specifics of each rank, I will go ahead and suggest how training should be done overall for any rank or level. Time Trains should only be used on Skills or Move Training. This is due to Arena and Patrols being able to train your General Stats at the desired ratio for you. Without ever having to dedicate any time training to them. Melee Skill - Spirit Skill - Ressureccion Skill - Sonido Skill | Are the skills. Strength - Endurance - Speed - Intelligence - Willpower | Are the General Stats. First you should become aware that there are things called 'Gain Boosts' which come into two common forms. Boss Boost and Weekend Boost. The boss boosts become active whenever a defender boss is killed or when the Kyoto City Neutral boss is Killed. These last for 2 hours from when they are set. The weekend Boost is set for the duration of Saturday through Sunday Server time, Promptly ending 12 am Monday. I urge greatly that when any of these boosts are active, you set skill trains. When there is no active boost you should set move trains. This is mostly due to your moves being the Greatest factor in your combat performance, with skills then general stats coming closely behind. If you have high skills/stats but no moves trained you may find yourself losing to someone much lower level than you due to their moves being capped and battle-ready. Finally, even if you specialize exclusively in melee or spirit, you should always have the opposite skill in about half the value of your primary skill. This is due to the opposite skill giving you much needed defense from that particular damage type. Not to mention if you follow the rest of this guide, your opposite skill will improve your total training pace. This is the rank that will get you familiar with the Shinigami interface. To get through this rank you simply will need to train your desired primary skill and secondary skill. It isn't absolutely required but if you want through this rank quickly, you should take the two AI spam moves below and kill as much Desert AI as possible. e.g. Melee using a spirit heal will have next to no gains regardless of spirit skill. Yet a balanced user can use both freely regardless of skill amount and gain full benefit as long as it is trained. Once in this rank other players are free to attack you if they are in your rank as well. Invasions allow the opposite race to kill you regardless of rank. And in KC opposite race players in your rank barrier may also attack you. In this case it is R5-R6. Or Arrancars and Elite Fraccions. Slash Whirlwind (Melee) and Way of Destruction 49: Nova Blast (Spirit) are Pre-R7 moving attacks. In this rank you cut off all ties to the last two ranks player-wise, only being able to interact with them in spars or possibly invasions. You are now at the bottom of the new rank barrier and training time is increase exponentially in this rank and the next. But don't fret, keep on training consistently and not giving up will possibly result in you becoming one of our honorary Captain! Almost all moves in this rank are worth taking, it will be up to you to decide which to utilize. I Personally suggest taking the 5.3 Pure damage move for either skill at the very least and experiment from there. That is the end of the guide, please feel free to leave any feedback, criticism or important thoughts I may have missed.